Children start in the Children’s House between the ages of 2.5 and 3. We have two Children’s Houses – one in Hove (BN3 3ER) and one in Eason’s Green (TN22 5RE), close to Lewes. Think of the Hove site as the “Children’s House by the sea” and the Eason’s Green / Lewes site as the “Children’s House in the country”. The two are in very different settings, but from the moment you step inside, you will notice the same universal Montessori principles in practice. 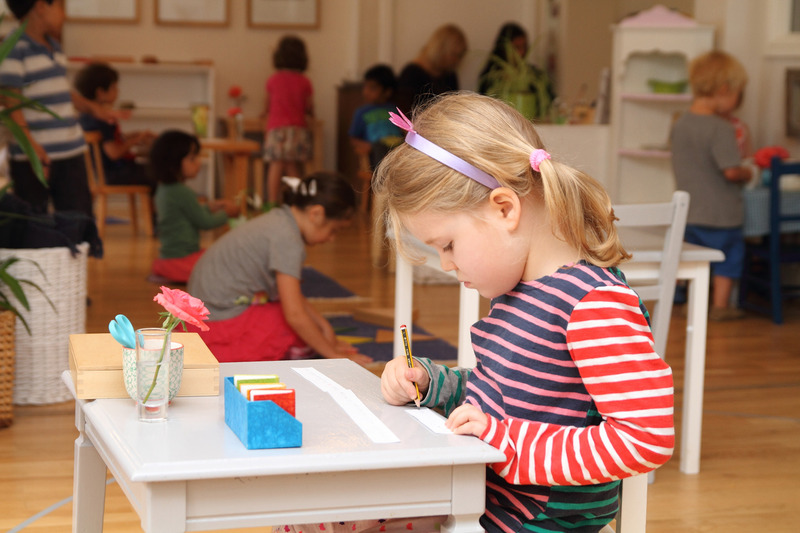 In a Montessori Children’s House, children are uniquely supported to think for themselves and do for themselves. This is a video of the Children’s House in Hove. The mixed-aged group of children are free to direct their own learning, and learn quickly to respect the work of people around them. Young children learn to make deliberate choices from hundreds of activities in a carefully prepared environment. The children become experts in guiding their own learning and discovering the world. Younger children are inspired by those a little older, while the older children affirm their knowledge and responsibilities by helping others. A natural spirit of cooperation and contribution is deepened and strengthened through daily experience. Children freely choose activities where skill and challenge are closely matched. This invites concentration in the child and creates a surprising harmony in the group. As skills develop, so too must the challenges, and numerous pathways are forged into our culture. A child’s experience exploring shapes and playing games with language leads naturally to learning individual letters. Letters are merged into words, and the writing of my thoughts becomes the reading of yours. Single words give way to the excitement of messages, stories, songs or ‘research’. We call this total reading- a love of reading coupled with the technical ability to do so. Likewise, the careful pouring of the 2 year old develops into the 3 year olds precise comparisons of quantities by thickness, weight, or length. The child desire to know ‘how much longer?’ leads to the 4 year olds connecting quantities and numerals, and 5 year olds manipulating materials that allow them to do addition, subtraction, multiplication and divisions with 4 digit numbers and big smiles. At six they are working in millions and long division. They love maths. The children follow similar journeys into music, geography, art, science, botany and zoology. Journeys that move from the simple to the complex, from an understanding of the whole before the exploration of the parts. Journeys that follow a pace dictated by the child’s development, and in directions which follow their interest. Children of this nursery or pre-school age have an innate drive to find out about their world, their time and place, to make sense of it and make it theirs. 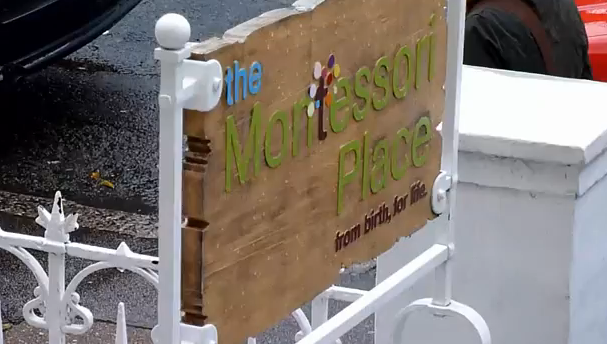 The Montessori Place offers children the keys to the world, preparing them to find and take their place in it.